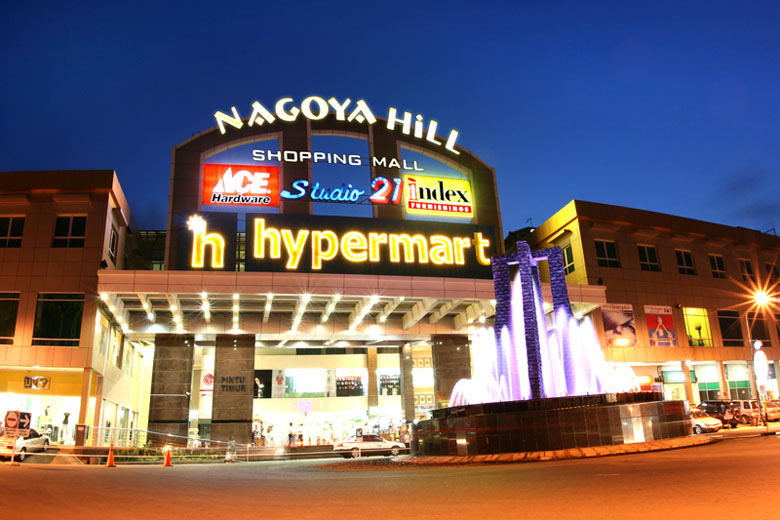 The Nagoya Hill area is Batam's main shopping and leisure centre. It is just like what Orchard Road is to Singapore, Bukit Bintang is to Kuala Lumpur or Ortigas Center is to Manila. Naturally, most people who come to batam would definitely drop by this area for various reasons: shopping, eating, relaxing (massage) or just to sightsee. 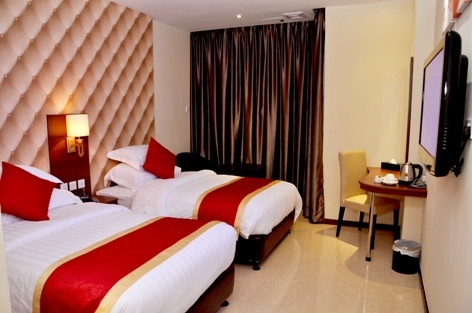 As there are quite a number of hotels in this area, we have come up with a list of those that are superior in terms of facilities, service, overall quality & most importantly customers' feedback. They are also closest (within walking distance) to the main central area. 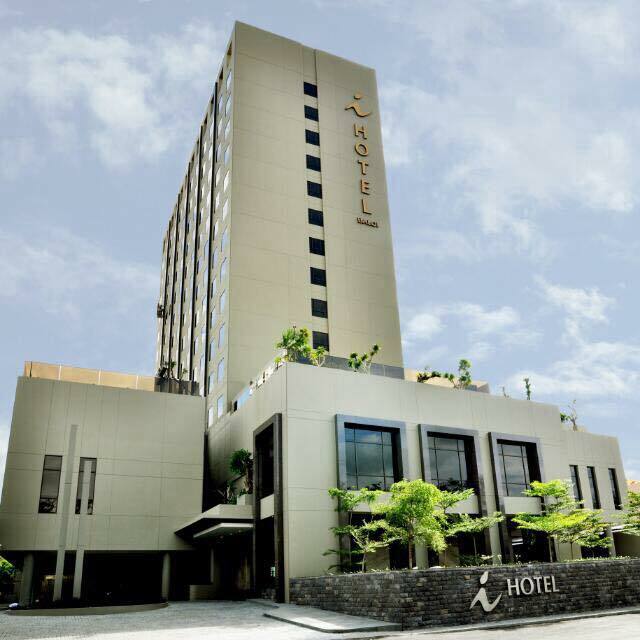 One of the newest city hotels in Batam and most popular right now, the Nagoya Hill Hotel did not gain fame from its imposing structure and contemporary furnishings alone. It's building a stellar reputation by focusing on excellent staff service, complemented by state-of-the-art systems. Amenities include a fitness centre, sauna, and pool. 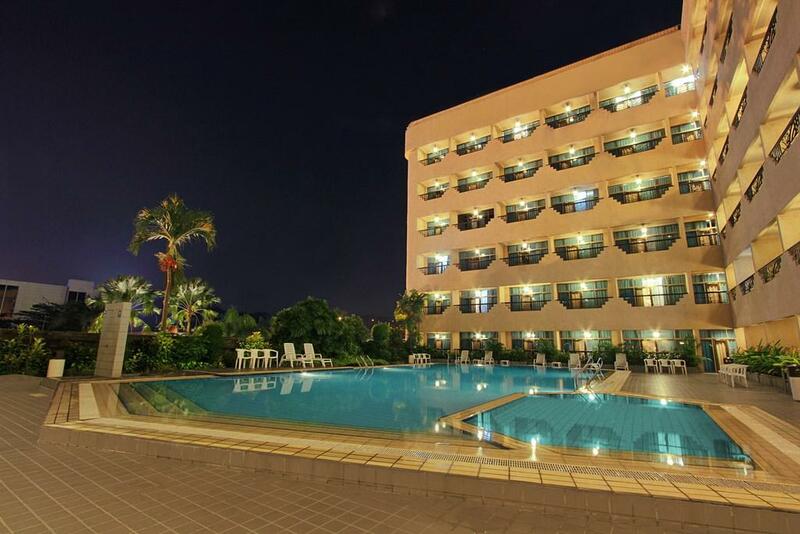 This 4-star hotel is lieterally 1 minute's leisurely walk away from Nagoya Hill Shopping Mall. The Nagoya Mansion Hotel and Residence offer leisure and business travellers a delicious fusion of warm ambiance and cool atmosphere, what with its welcoming staff, comfortable accommodations, and a plethora of surprises. After a long day of touring the island or going around Nagoya Hill Shopping Mall, guests can unwind at La Bamba Restaurant, La Brisa Juice Bar and Foodpark, or Parlente Bar. This hotel is just 5-10 minutes' walk away from Nagoya Hill. 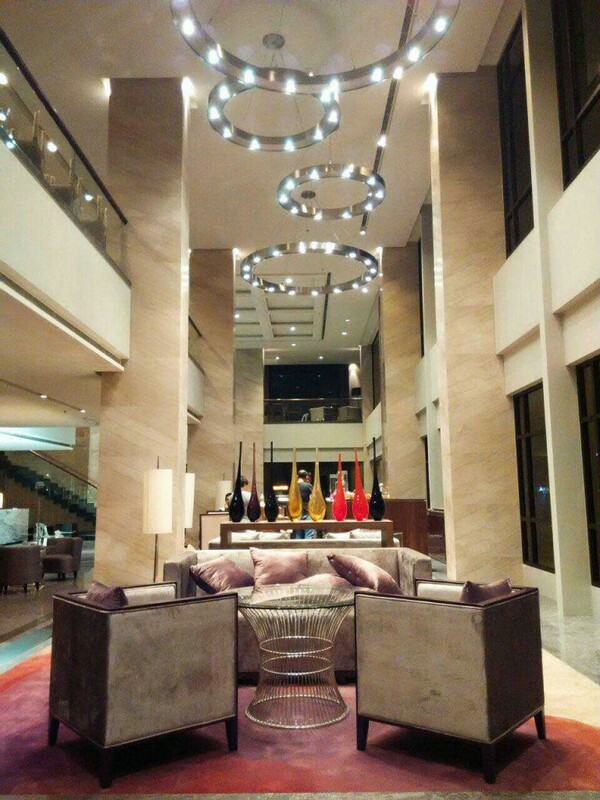 The extremely new 3-star Da Vienna Boutique Hotel is home to the much-talked about lobby that features helix columns and a geometric ceiling, and rooms that are a cut above the rest in Batam. The concept hotel is also home to scrumptious dishes, served at either Ken-Yang Japanese Fusion Restaurant or Le Lion d'Or Fine Dine Restaurant. Guests seeking to unwind can catch ultra-talented live bands and fascinating mixologists at Barletta Lounge and Bar. For those who are very particular about a hotel's star rating, do not be fooled by the 3* rating as this is essentially a boutique accommodation. 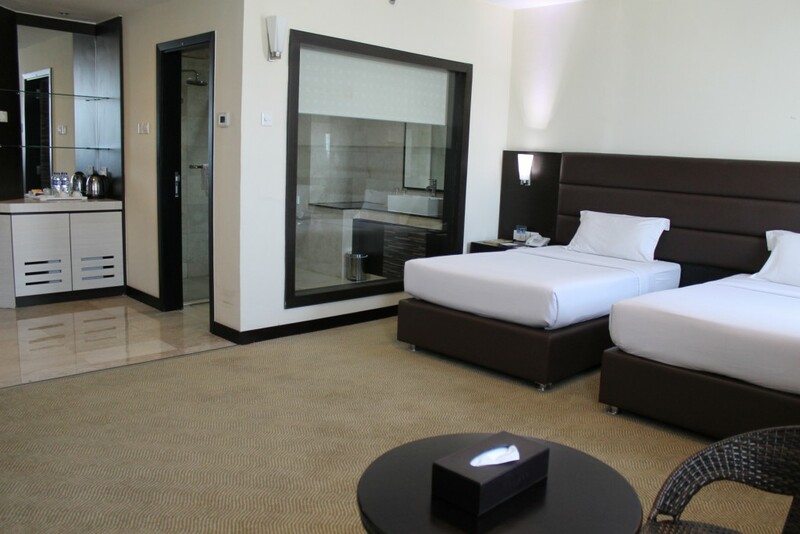 You will be pleasantly surprised by the high room and service standards offered by this newest city hotel. 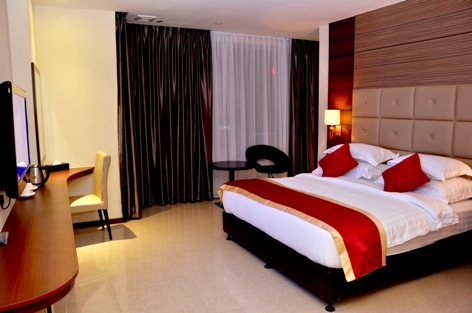 This 4-star hotel is known for its elegant rooms and guest pampering. It's the go-to place for hot tub and sauna, a well-appointed fitness centre, and a shimmering outdoor pool. After the sunset, guests troop to either of its two bars for refreshing drinks and a night of music. 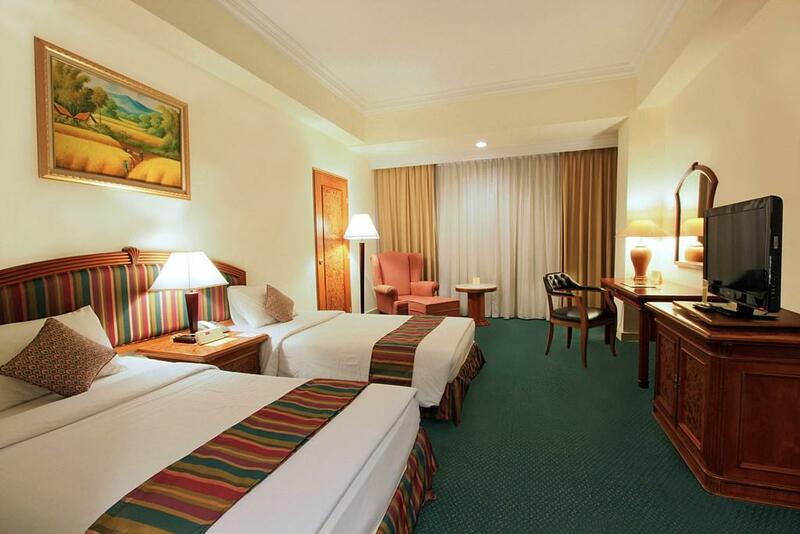 Harmoni Hotel is one of three luxurious getaways by the Harmoni Group, and should not be confused with its sister-hotels in Batam, Harmoni One and Harmoni Suites. 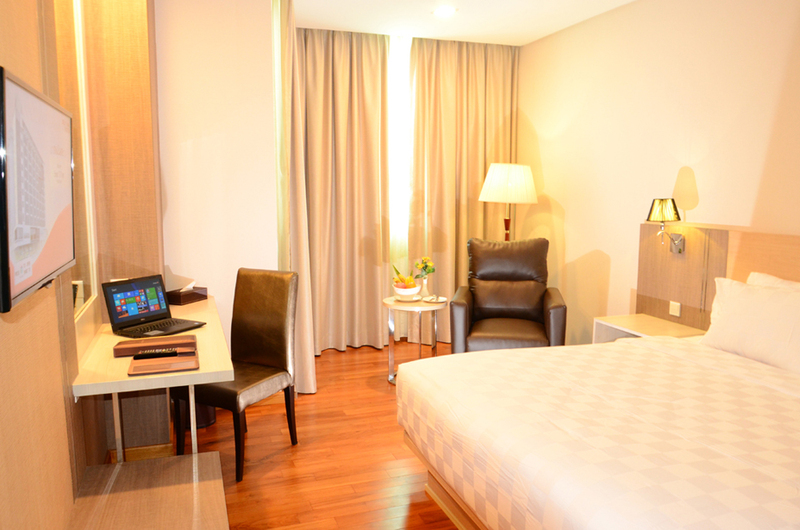 Whilst nestled at the centre of Batam action, Harmoni Suites provides a soothing break from the hustle and bustle of the city. 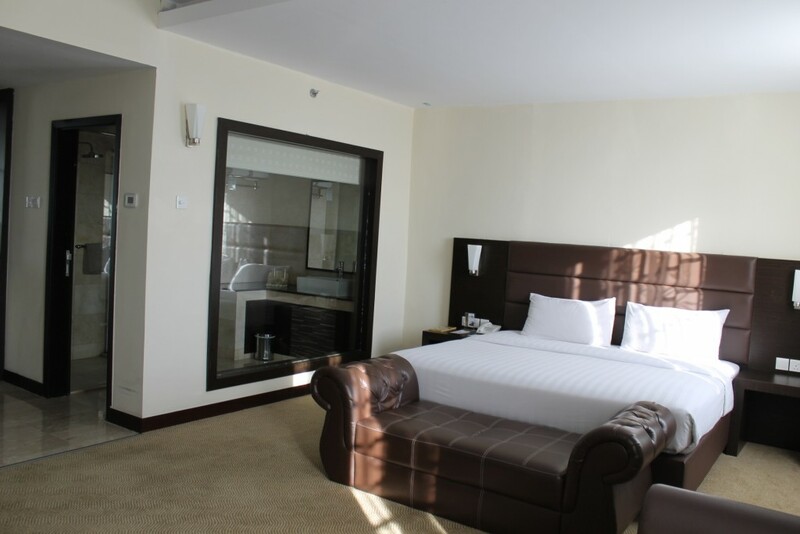 The apartment-style hotel is popular amongst travellers not only for its charming buidling design and superb interiors, but also for the clean, modern lodgings that come with a kitchenette each. Other unforgettable features include the quiet indoor pool, Mick's Pub that features live bands, and – best of all – Café de Rosa for diners who want to enjoy international cuisine 24/7. This beauty is a 5-10 minutes walk away from Nagoya Hill. Baloi is the 2nd biggest business and shopping district in Batam, after Nagoya. 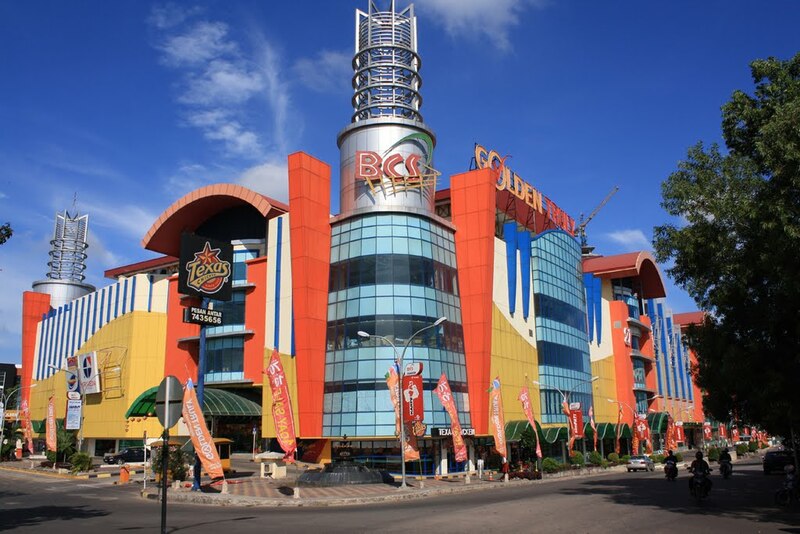 There is the famed BCS (Batam City Square) Mall, supermarkets, restaurants, Factory Outlets (Polo Ralph, Nautica, Tommy Hilfiger, etc.) and retail shop-houses offering various products (souvenirs, etc.) & services (massage, etc.). Besides Nagoya, this would be the next best area to stay in Batam city centre if you're looking for activities and convenience. Opened in April 2015, the 4-star I Hotel Baloi features 215 plush rooms (with a rain shower in the bath, yes!) that welcome you after a long day round town. 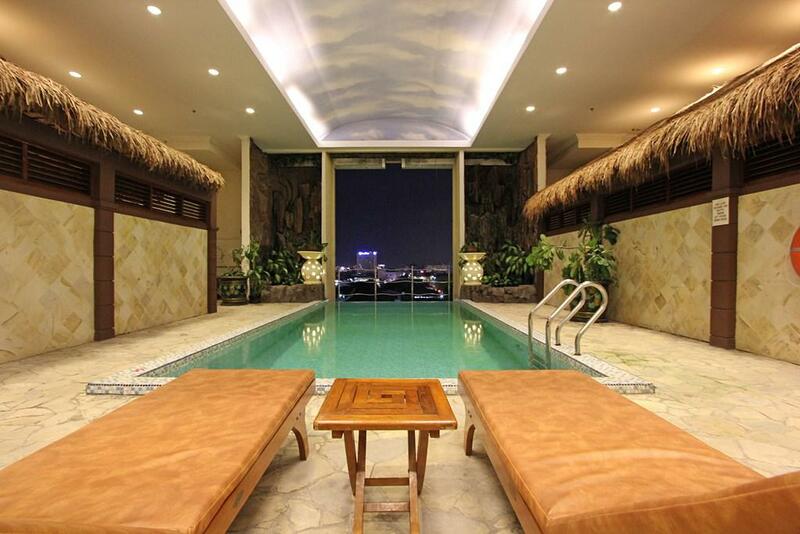 It has a host of amenities, including the Theraz Spa and a pool overlooking the city. 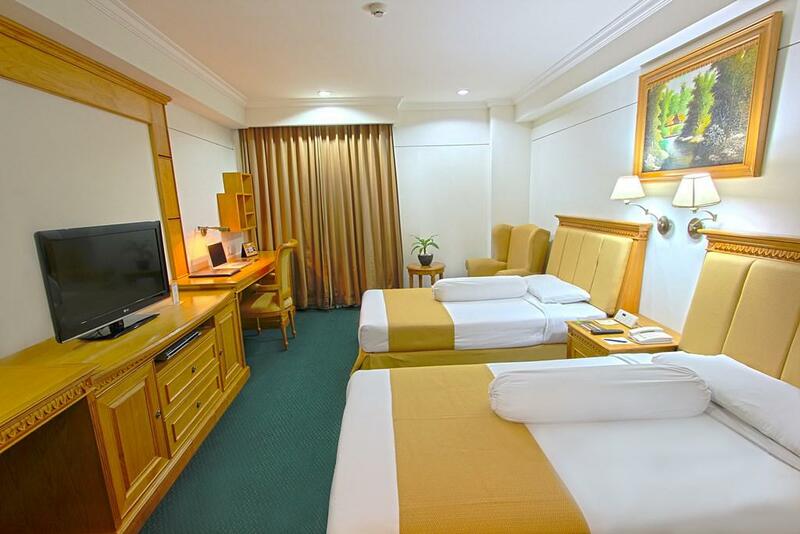 The hotel is a stone's throw away from Batam City Square (BCS) Mall, which has a huge supermarket and a cinema, and is a 15-minute drive into the Nagoya administrative district where the famed Nagoya Hill Shopping Mall and Superblock – Batam's largest shopping paradise – is situated. 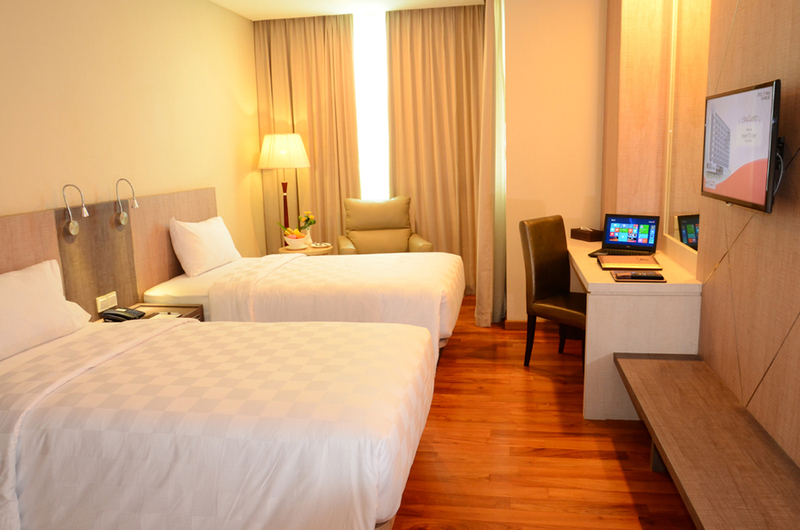 The 4-star BCC Hotel & Residence has a commanding view of the urban sprawl that's happening across Batam Island. Its well-appointed accommodations come in all sizes (including the three-bedroom apartment that can house seven people!). Its long list of amenities boast a sauna and a hot spring bath, plus a pool with a bar. Nestled within the vicinity of Nagoya Hill Shopping Mall and other popular attractions, the hotel is at the centre of action, and its Helipad Terrace Lounge has quickly become an attraction in itself. 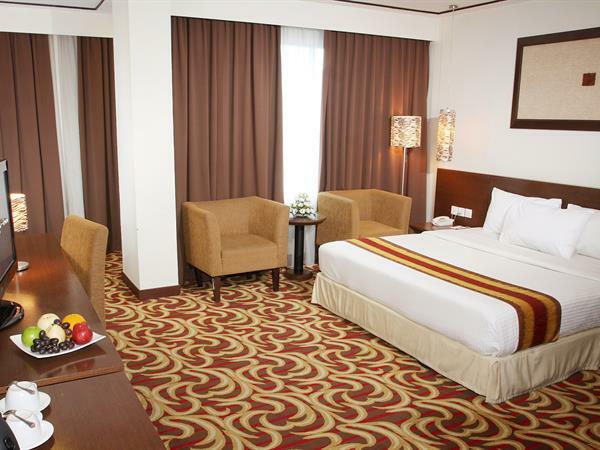 Operated by the internationally acclaimed Swiss-Belhotel group, Swiss-Inn Batam makes for a reliable place to call home in the island. 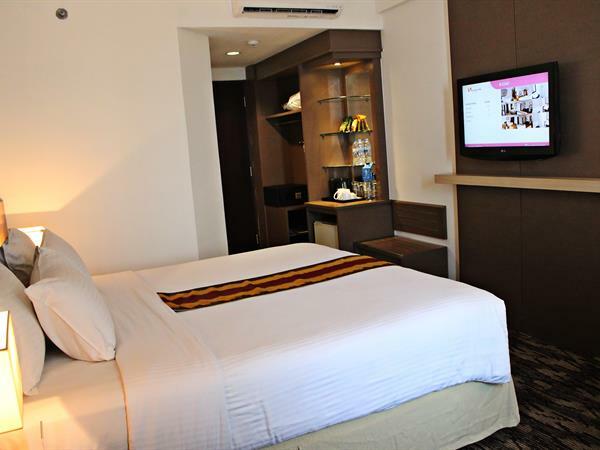 Its spartan accommodations speak of convenience, comfort, and affordability, and its location is the best for guests who want to sample Batam's deliciously eclectic culture. 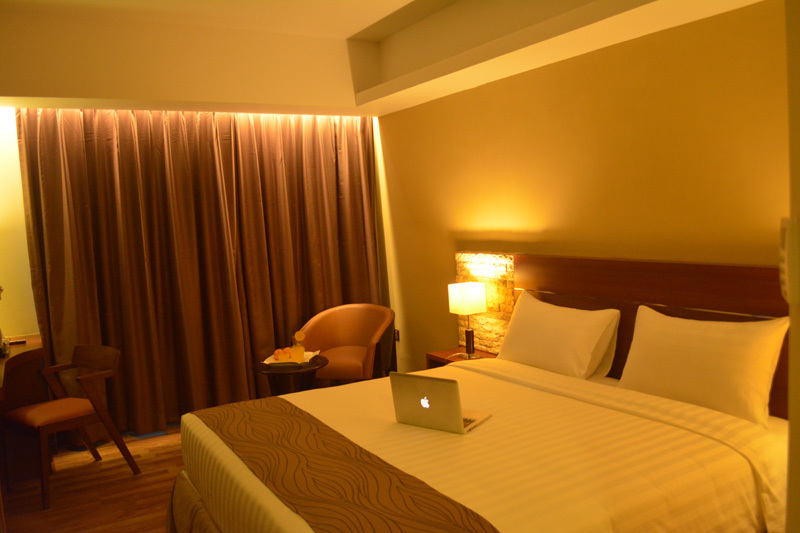 This 3-star hotel prides itself in minimalist, smartly decorated accommodations that evoke a hassle-free and enjoyable stay in Batam Island. After a trip to nearby shopping centres, Gideon Hotel becomes the place for ultimate relaxation, what with its sauna, steam room, massage room. Then there's the lounge for a cool nightcap and great entertainment before a good night's sleep. People are dead wrong if they think that 3-star hotel rooms are too tiny to let them brush their teeth sideways. 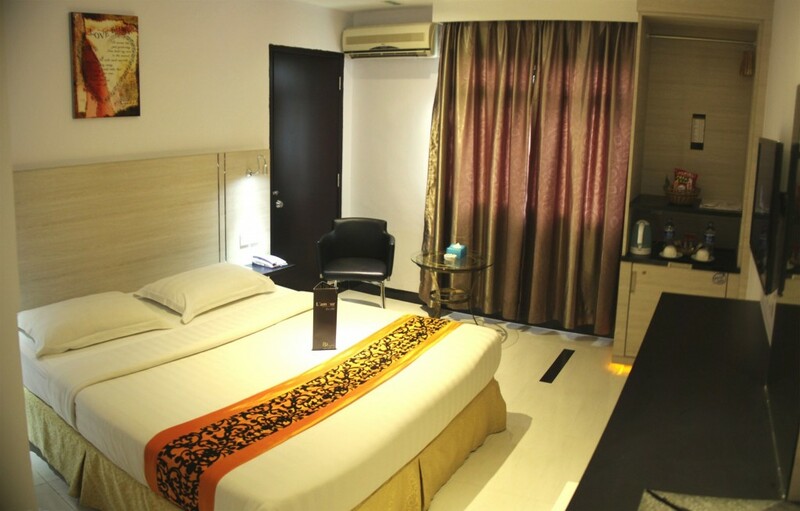 The 89 Hotel offers the luxury of space and comfort at ridiculously low rates. Its indulgences include a Jacuzzi and a well-equipped fitness centre, plus L'Amour Restaurant that's popular for its à la carte dishes available all day long and scrumptious buffet breakfasts. Guests become so drawn to this hotel that many of them actually forget to explore the shopping and dining haven just outside the door.